Luciana D’Abramo is the SOS Children's Villages emergency advisor for the Middle East and North Africa region. 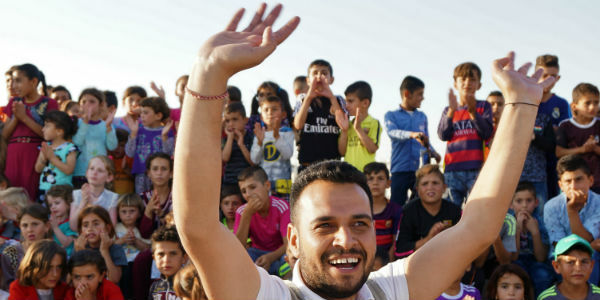 She explains how the emergency relief program is helping internally displaced people in Dohuk, a province in the self-governing Kurdistan region of Iraq. 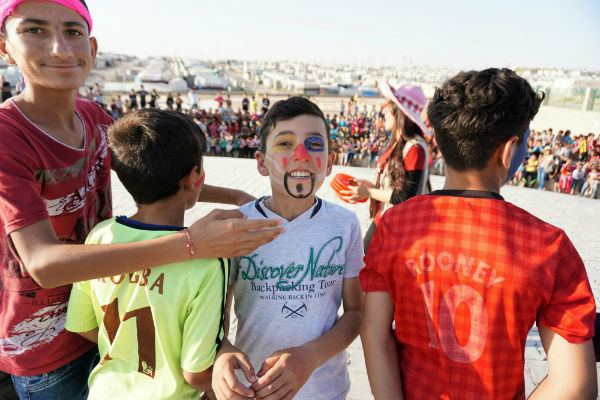 The SOS Children’s Villages emergency program was launched in 2016 with the initial goal of helping ethnic Yazidis, thousands of whom were driven from their homes in Sinjar mountain communities during Islamic State attacks that began in August 2014. A United Nations report concluded that these attacks amounted to genocide. Today, around 17,000 ethnic Yazidis are living at the Khanke camp for internally displaced people in Dohuk. 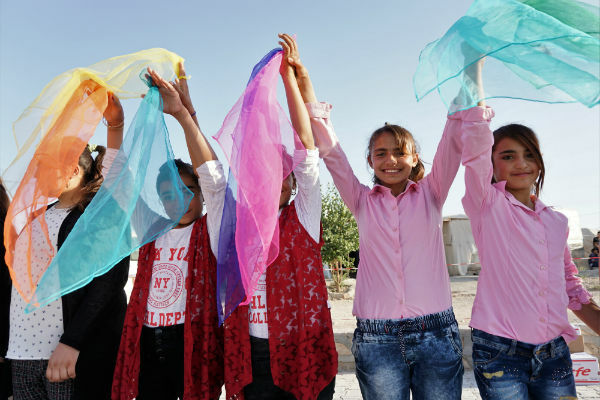 What is SOS Children’s Villages doing to help those displaced by violence? Our project in Dohuk has many components, such as helping to improve livelihood skills to help strengthen single-parent families and advocating for rights of children. But what makes us special is our support in mental health and trauma, which were not really addressed by other organizations and there is a really strong need for it. This society is conservative when it comes to mental health. Psychological problems are taboo and they are not seen as a health issue. Seeking help is really stigmatized. Yet the need is enormous. There is trauma that even regular psychologists cannot intuitively know how to deal with, due to the level of violence and suffering involved. What types of trauma are you seeing? The sources of trauma are varied. We started out by prioritizing the needs, with children who have lost parents and those who have survived Islamic State attacks or captivity. They were the ones who might have experienced the highest level of trauma. Everyone who has been displaced has experienced trauma in different ways, but the intensity of the trauma makes it more critical. For example, girls and women who were taken captive by the Islamic State but survived face a lot of rejection from the society and their families. There is a lot of work that needs to be done in terms of advocacy, acceptance and forgiveness – to understand that there was nothing else you could have done to make things different, and it was not your fault that these things happened. It is important to prepare them to be able to think about the future and face the nightmares, intrusive thoughts, flashbacks, numbness and even fainting associated with traumatic events of the past. What is being done to help the children deal with their trauma? We focus on TRT [trauma recovery techniques] for groups of children between eight and 18 to help them deal with what they have been through. With TRT, you bring together a group of 10 to 15 children and give them tools to visualize and acknowledge what they have been through, and at the same time help them build resources and tools to cope with their experience and focus on rebuilding their future. We use techniques that range from drawing to active imagination and visualization to help them address their experience and share this process with others who have been through similar situations. Each cycle of the therapy runs for seven weeks. Parents or guardians attend two weekly sessions where we explain the impact of trauma and what their children will learn during the therapy. The children attend once a week for five weeks. The therapy does not end when the intervention finishes. We provide children with activities they can do with their families or with other friends who may not be coming to the sessions but who also may have experienced trauma. So there is a multiplying effect of our work. Another component of this program is providing advanced techniques to health professionals and teachers so that they can become more proficient in dealing with these families and cases, and be more effective in delivering treatment and follow-up. Our goal is to reinforce the training of health professionals so that they can keep developing these techniques and also become trainers in their own workplaces. It’s a matter of building capacity and creating referral systems while at the same time addressing the needs of children. There are an estimated 3.6 million internally displaced people in Iraq – 10% of the population. Why are we focusing on the Yazidis who are displaced? Historically the Yazidi community has been the target of discrimination, segregation and attacks. But when ISIL came into play, the Yazidis were among the most affected by persecution and violence. In terms of intervention, they were taking refuge in areas where we could easily come in with lower levels of risk and a bigger impact. But we are starting to move towards working with other ethnic communities as well. There is a lot of work to be done in terms of intercultural peace-building and tolerance in order for this society to get back on its feet. For years, Kurdistan was known for different communities living together and interacting peacefully. It will take time for things to go back to where they were.